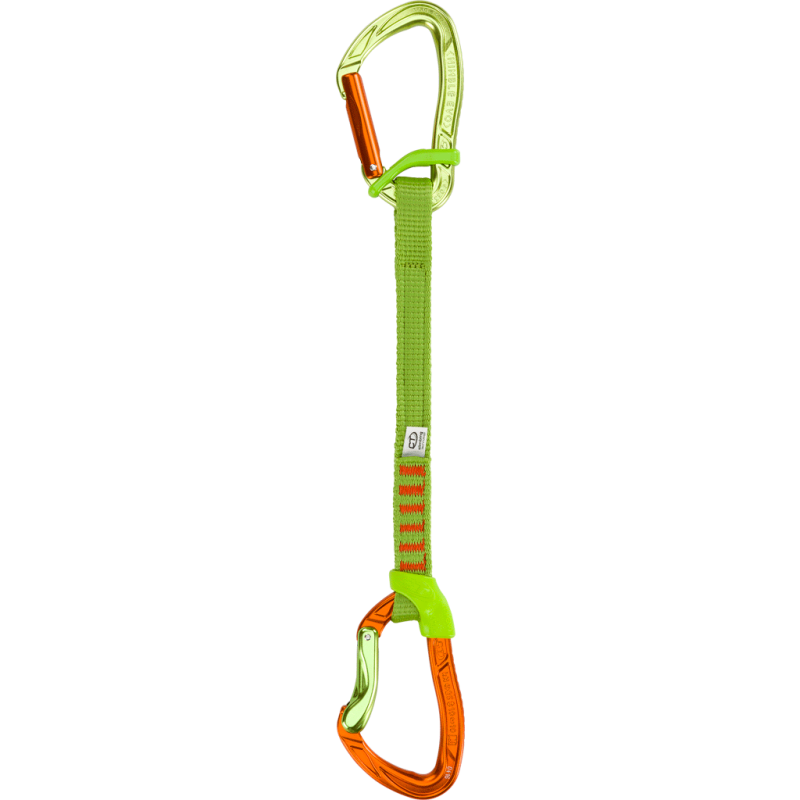 Upper carabiner with the new best-grip gate and catch-free closure; lower carabiner with a hot forged ergonomic gate and catch-free closure for easy rope insertion/removal. 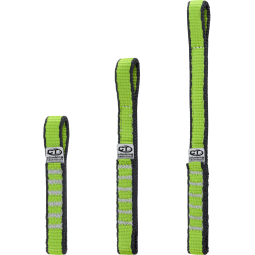 Equipped with a robust and durable 16 mm polyamide sling, with the new rubber retaining bar FIXBAR which prevents the top carabiner from rotating around the sling and/ or anchor, avoiding the possibility of cross-loading the minor axis of the carabiner and with the FIXIT rubber fastener on the lower carabiner, which prevents accidental rotation during use and protects the sling from wear and tear. 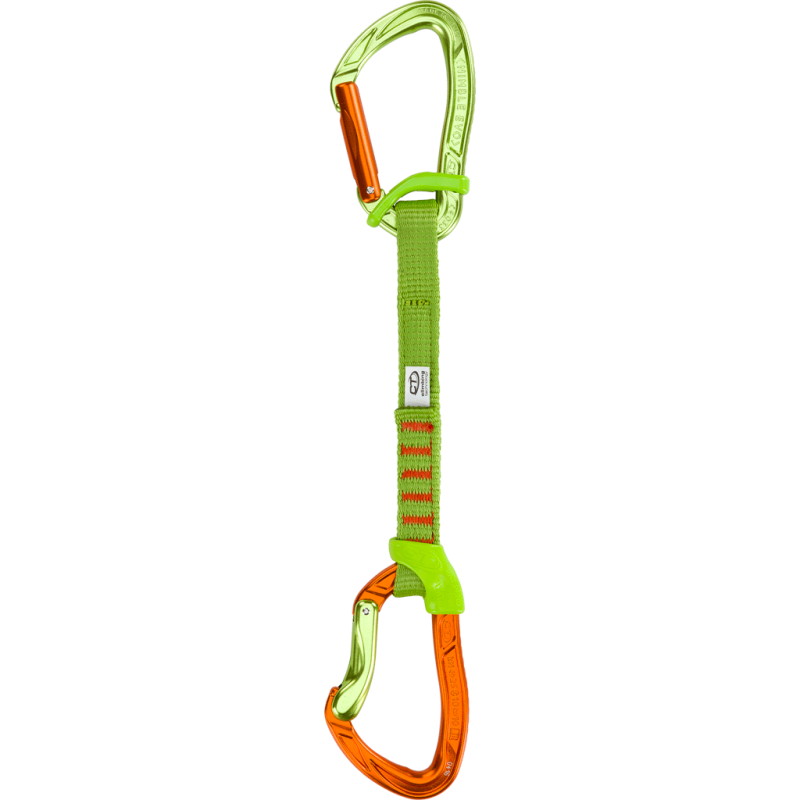 Light allow carabiner hot forged with ample aperture, ergonomic shape and straight gate, it has the new best-grip profile. 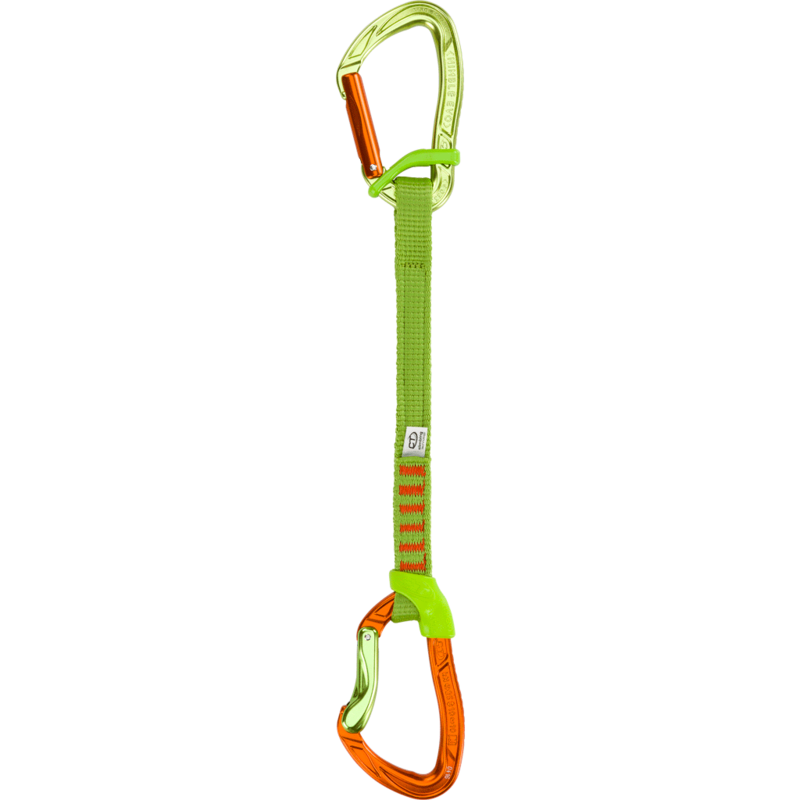 Light allow carabiner hot forged with ample aperture, ergonomic shape and curved gate, hot forged with an ergonomic design.